Money as upholstery? Considering most banknotes are composed of cotton and linen, reframing them as a type of textile isn't too much of a long shot. 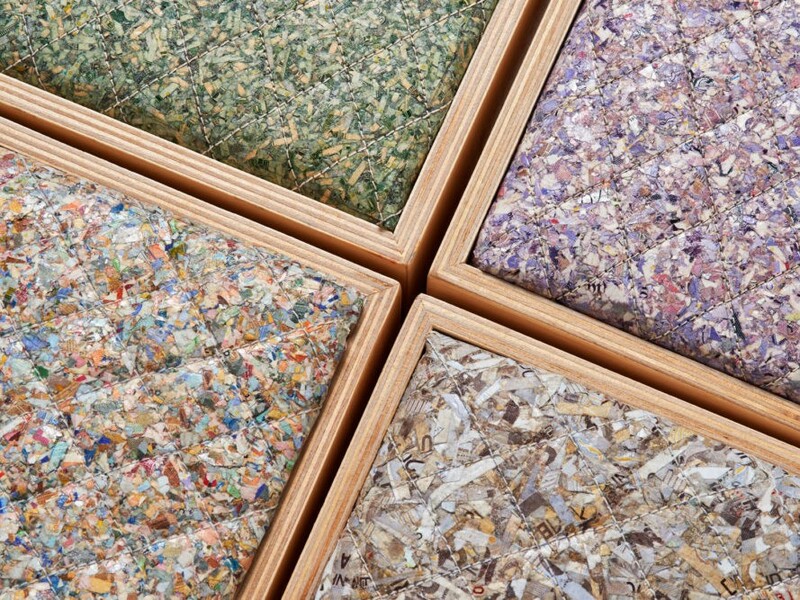 To demonstrate, Rotterdam designer Angela Mathis shredded various global currencies, namely, the American greenback, the purple English pound, the brown Indonesian rupee, and the multihued Euro. Mashing them into a pulp, Mathis used glue to reconstitute the material, papier-mâché-style, into fabric-like sheets for sewing. The result: a quartet of stools whose confetti-marbled pads offer the barest hints of their origins. Talk about a "financial cushion." With digital payments on the rise, physical currency also faces becoming obsolete. “As the world’s economic heavyweights progress further, what will become of money as we know it?” she asked on her website. Mathis envisions a future where currency, stripped of its monetary value, becomes just another resource ripe for repurposing. As if in anticipation of pearl-clutchers who may regard her choice of medium a tad sacrilegious, Mathis points out that banknotes generally circulate for a period of 18 months before they're decommissioned and destroyed. The banknotes Mathis used were already destined for disposal, natch. With digital payments on the rise, physical currency also faces becoming obsolete. As the world’s economic heavyweights progress further, what will become of money as we know it?" she asked on her website. "Money is, in itself, nothing more than a piece of paper or a shiny coin," she said. "The economies of the world give currencies form, but their tangibility isn’t necessary for their assigned values."